While the ART center is always a very busy and important area of any preschool classroom, the Pre-K children have taken their love of art to a new level. It is widely known that when children partake in art activities they are able to manipulate different materials in ways that allow them to explore, experiment, and develop a wide range of skills, such as, patterning, cause and effect, critical thinking, spatial awareness, making comparisons and learning new vocabulary, just to name a few! In the Pre-K, however, the children have been learning about different types of art and artists. Learning about Art History helps children develop an appreciation of all things art and enables them to be able to make observations, form opinions about what they see and express these thoughts. 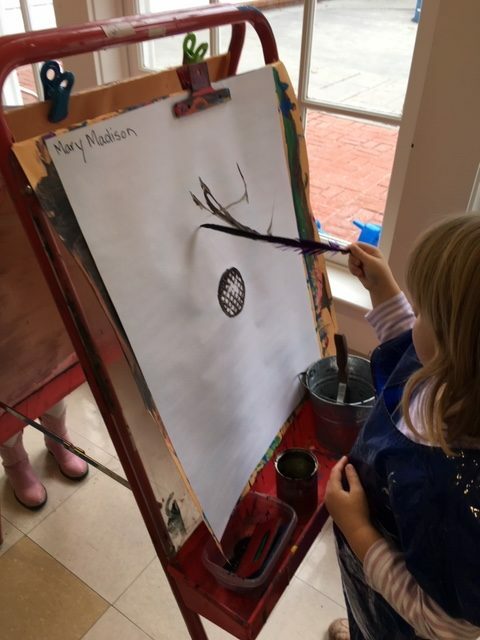 So far, the PreK children have learned about Andy Warhol and his love of portrait painting. 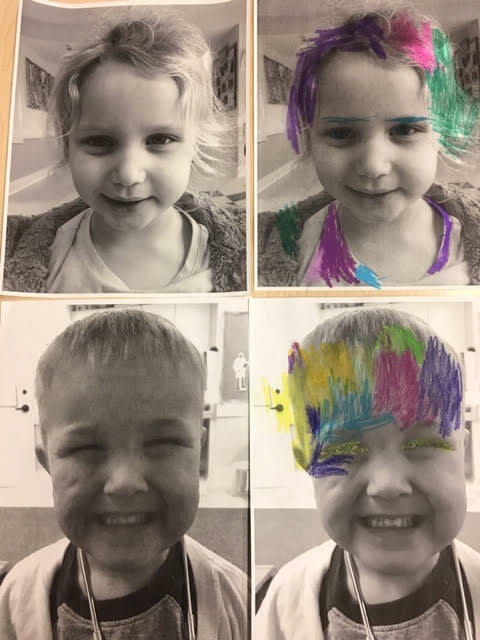 They even used markers and pastels to color in their own self-portrait photographs! 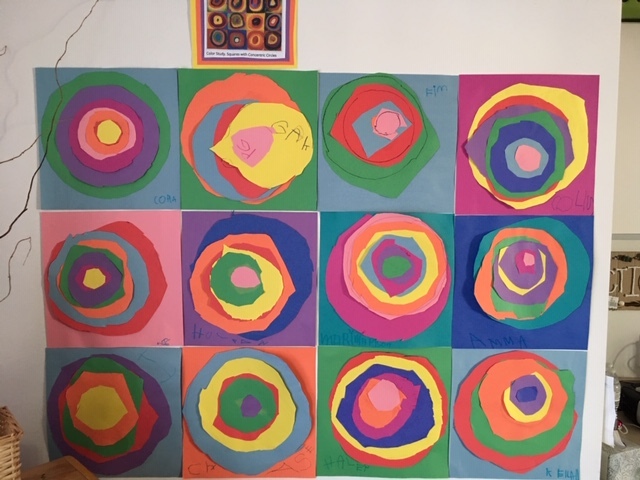 They also learned about Wassilly Kandinsky and how listening to music influenced his use of colors and shapes. 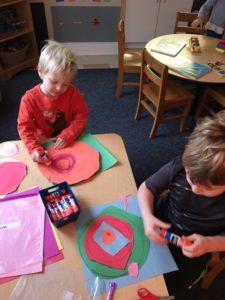 In the process, they worked on tracing, cutting, learning about shapes, comparing sizes and mixing colors. The children then created their own artist-inspired creations. 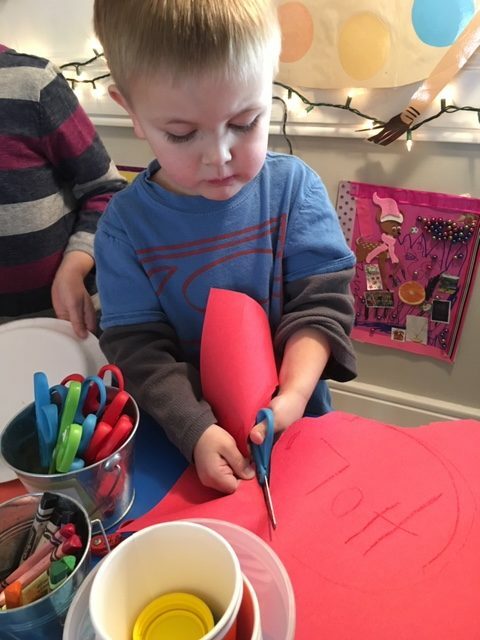 They were amazed and impressed with their own talents!!! 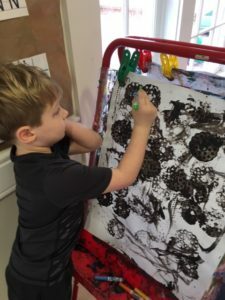 The children then experimented with different art tools, such as combs, feathers and potato mashers and different mediums like black paint, oil pastels and markers to create their own masterpieces. Their greatest thrill was discovering not only their own talents but, those of their friends. Anyone and everyone can be and is an artist!! !